Aside from the specific cases provided for in your contract, unpaid leave technically does not exist, and your contracting organization is not able to grant it. Every now and then a JET will use up all of their paid leave, and then when an emergency comes up they are unable to take any more leave. Sometimes the school is unable to grant unpaid leave, and the JET leaves anyway, only to find out that because they violated their contract, their contracting organization will not provide them with a flight home. Don’t let this happen to you! Guard your nenkyu preciously, and always save a few days, just in case. 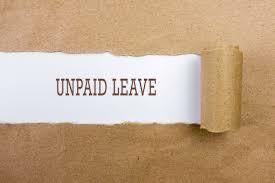 In an exceptional case it is worth asking your contracting organization if they can grant unpaid leave, but keep in mind that in most situations the response will be no.